It poured last night, so I expected the air to be soupy this morning, but it’s surprisingly cool and fresh. As I walk, hear birds chirping, see cardinals, a catbird, and a blue jay flitting about. I also see a hawk glide silently to a perch high in tree. 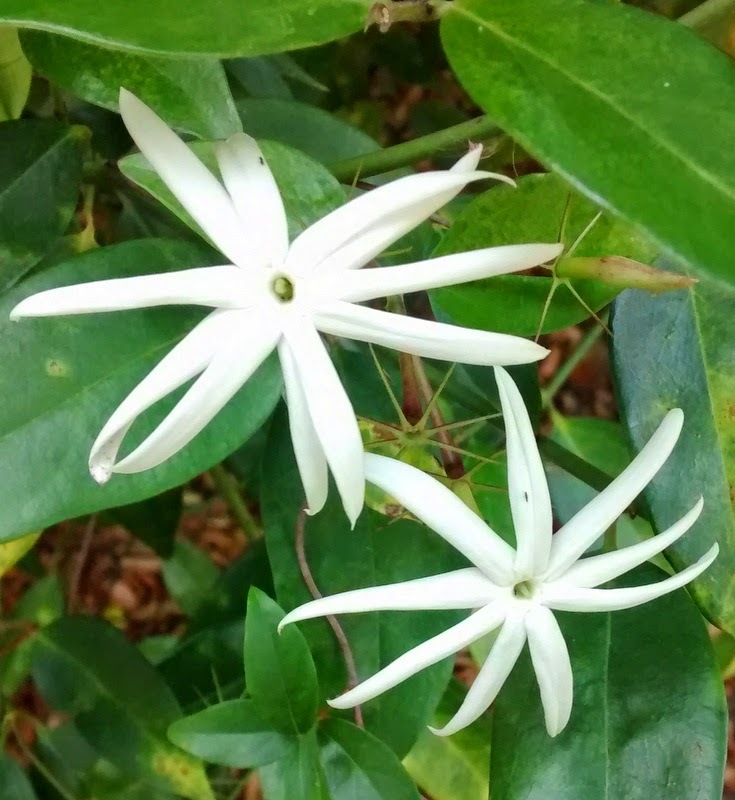 Since I’m alone and not walking for exercise (i.e., fast), I notice things I frequently miss: the way the traffic along the main road near us hums almost harmoniously; the large shell ginger plants outside someone’s backyard, heavy with flowers; star jasmine scenting my own backyard. I see places where wild hogs have rooted through the woods looking for food. When I look up, I see spring green leaves forming a canopy over the path. Simple pleasures usually lost in the hurry of daily living. 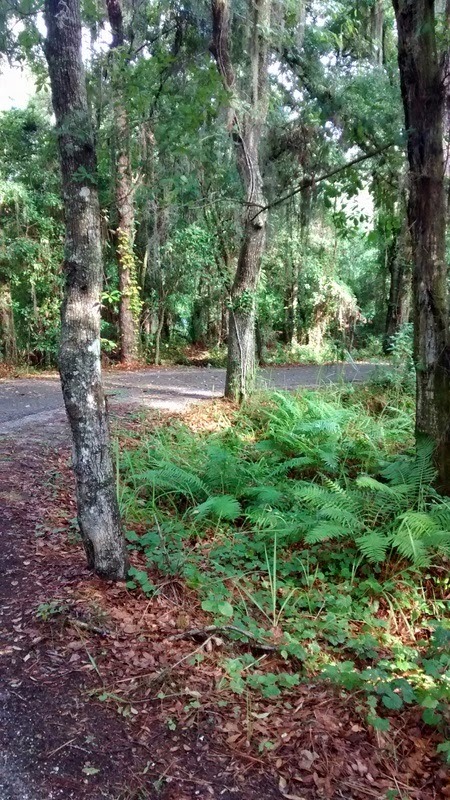 I’m lucky enough to have a quiet, safe place to walk right in my community—I can walk right out my back gate onto a paved trail. I usually take it for granted. Even worse, when I do use it, I almost always only use it for exercise—making the loop as quickly as I can instead of taking it slowly, exploring, noticing. As part of my focus on delight this year, I plan to take more of these short, rambling walks. At least until the heat and humidity make it impossible to enjoy. I know that day is coming, and soon, but until then, I’ll indulge in a few more relaxed morning walks. Who knows what I might discover? What delights do you take for granted? What a lovely observational walk...a walking meditation...Do you know Frederick Franck's books, The Zen of Seeing? Rita--No, I'm not familiar with The Zen of Seeing...I'll have to look for it as it sounds like a book I'd enjoy.